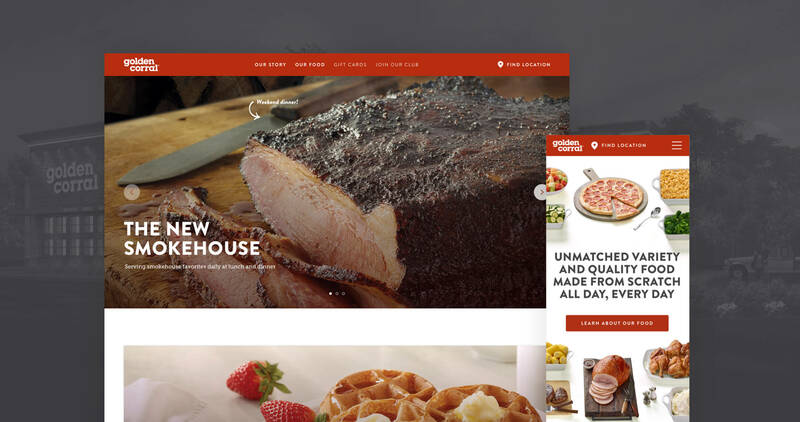 Golden Corral was craving a new website that clearly articulated the brand’s vision, mission, and offerings. In order to resonate with their wide audience base and set the company up for future digital initiatives, we re-platformed their website on Wordpress so they can easily create different promotions and drive people to stores near them. Archetypes were created to keep our core users top-of-mind when making design decisions. The original homepage was sparse and missed key opportunities to feature promotions and limited time offers. The side navigation created unnecessary focus and distracted the user from the main content on the page. 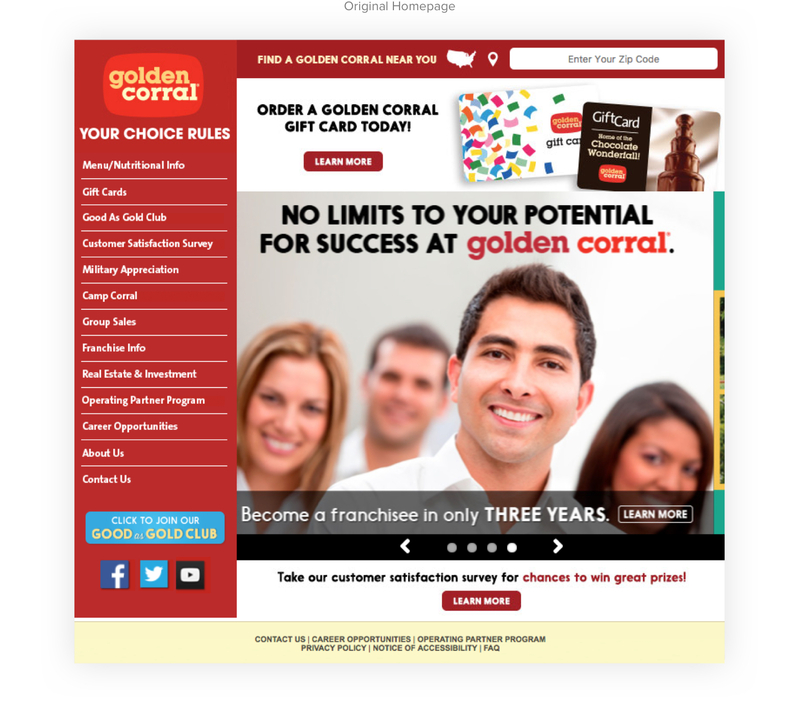 The new homepage uses a reusable module system that showcases Golden Corral’s mouth-watering menu options. By restructuring the navigation to have fewer items to choose from, the user has a clearer understanding of the website’s contents. 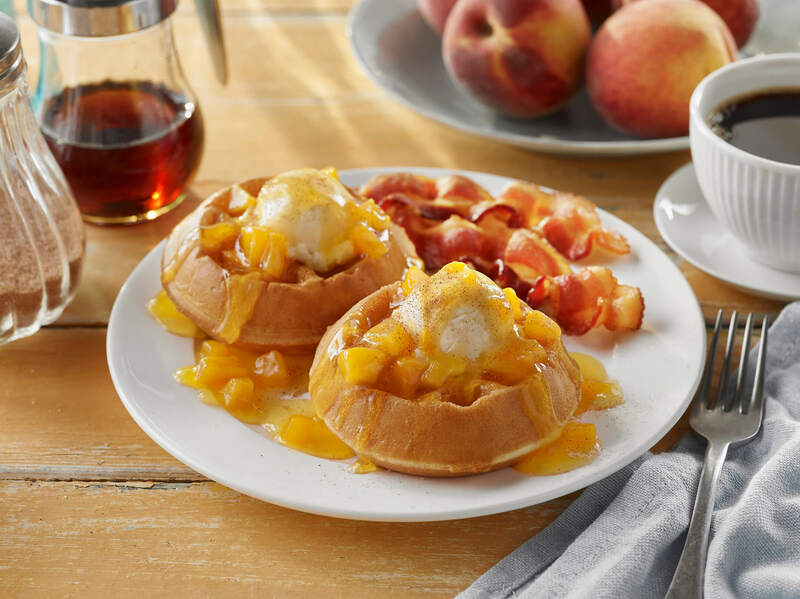 To drive home Golden Corral’s core value proposition, it was important to show an abundance of food options. 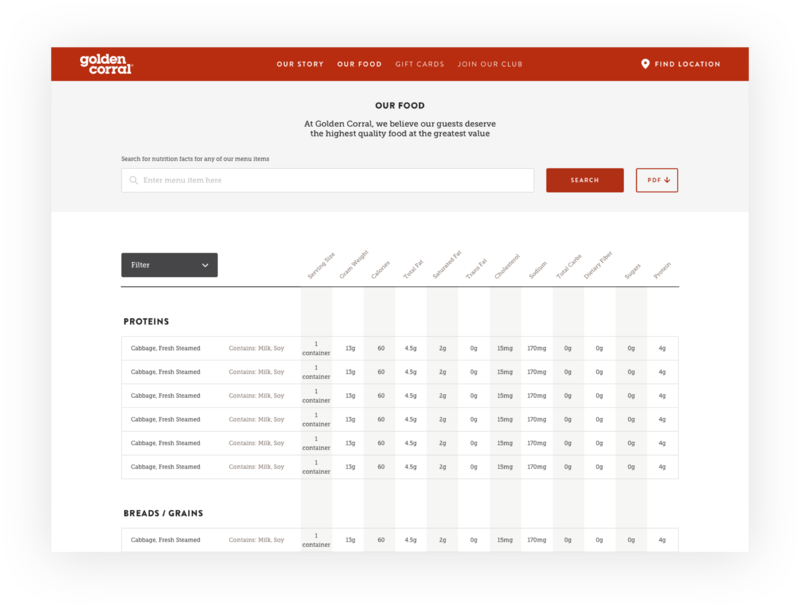 An interactive nutrition chart makes it fast and easy for customers to get clear dietary answers. 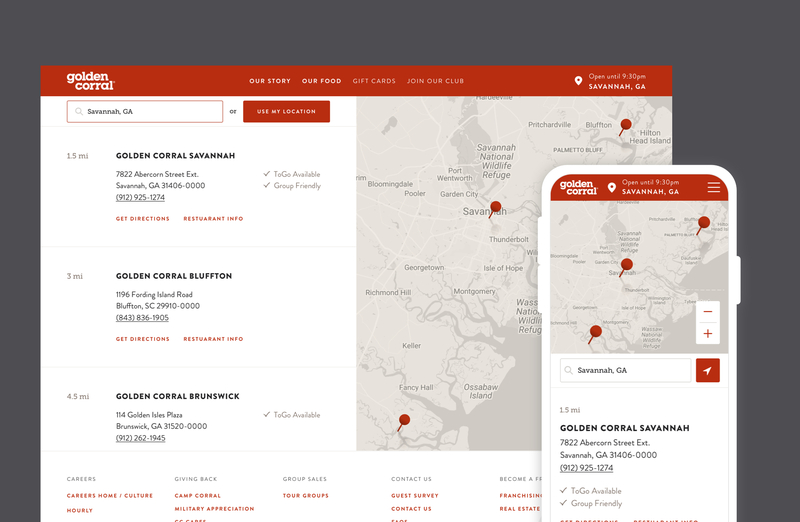 It’s imperative for customers to find the closest Golden Corral near them, especially when they’re on-the-go. To solve this, the customer’s geolocation automatically surfaces the nearest restaurant which is easily accessible in the navigation.